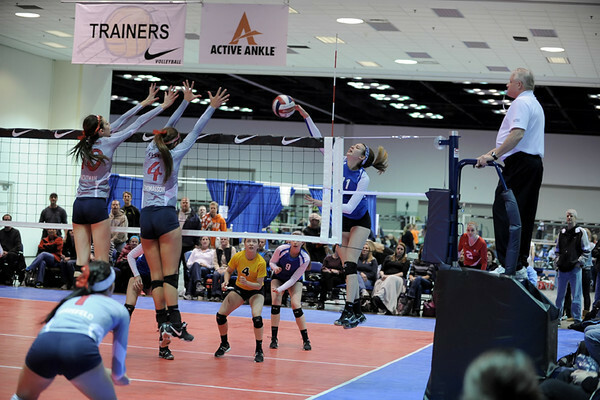 2013 Girls Vollyball 2013 NIKE MidEast Qualifier. Misty Elizabeth May-Treanor was the star of the event. What a wonderful spokeman for the sport. She showed up at 10am and signed autographs until 3:30pm when the cut off a line that went for about 100". She then went around for the few people that stayed around to sign a few more autographs. Misty was born July 30, 1977 is a retired American professional beach volleyball player. She is a three-time Olympic gold medalist, and as of August 2012 the most successful female beach volleyball player with 112 individual championship wins in domestic and international competition.